East Connecticut Vacations – Centuries of History and... More Thrills Than Las Vegas! East Connecticut vacations are about enjoying rambles, hikes, and bike rides through The Last Green Valley, or traveling back to the past to old whaling villages, or discovering the rich heritage of the native peoples of the area. East Connecticut vacations are about entertainment and thrills to match Las Vegas but without the glitz and one-sided façade. And always about the ocean and the enjoyment and celebration of its past. Ashford, Bozrah, Brooklyn, Canterbury, Chaplin, Colchester, Columbia, Coventry, East Lyme, Eastford, Franklin, Griswold, Groton, Groton City, Hampton, Killingly, Lebanon, Ledyard, Lisbon, Lyme, Mansfield, Montville, New London, North Stonington, Norwich, Old Lyme, Plainfield, Pomfret, Preston, Putnam, Salem, Scotland, Sprague, Sterling, Stonington (Mystic), Thompson, Union, Voluntown, Waterford, Willington, Windham, Woodstock. You’re in for a rare treat as I take you on a whirlwind tour of the area. Pull up a chair, grab you favorite beverage, and let’s get going on planning your East Connecticut vacations. 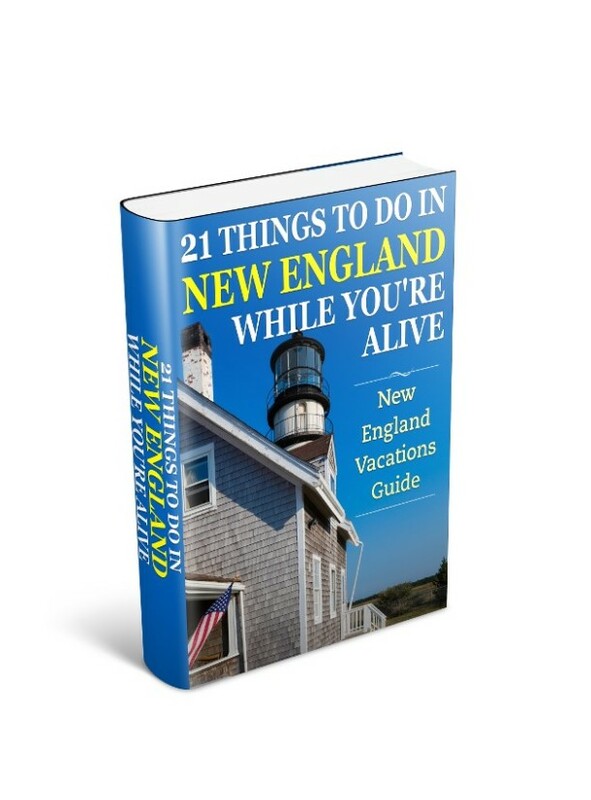 Use my East Connecticut vacations map to follow along with all the destinations you’ll be visiting here. For more information on a specific East Connecticut vacation attraction click the relevant link. The Last Green Valley is an area of Southern New England encompassing 35 towns and villages in south central Massachusetts and eastern Connecticut. Also known as the Quinebaug and Shetucket Rivers Valley it’s an area best explored at leisurely pace to enjoy the historic sites, museums, natural areas, country fairs, festivals and other activities. The fact is, The Last Green Valley is a large vacation playground sandwiched between the urban sprawl of the NY and Boston regions. Listed as a National Heritage Corridor it makes an ideal area for your East Connecticut vacations. Famous for its exhilarating bike tours, delightful B&B, plentiful fields and forests, historic houses, and guided hikes, the challenge is deciding how to see the valley corridor… and still have time to visit all the other vacation destinations in east Connecticut. Activities in the area include: scenic driving, backpacking, bird watching, and hiking. But one of the more popular methods of seeing the valley is on bike. This can be a do-it-yourself tour or you can hook-up with one of the Cycling Bed and Breakfast packages organized by Quinebaug-Shetucket Heritage Corridor. If you decide to organize your own cycling tour just make sure you book your Connecticut bed and breakfast lodging early, as B&B are popular places to stay in New England, and many are small and fill up fast during the summer and fall seasons. Finally, be sure to take in the special events put on by the towns and villages during the east Connecticut vacation season. They include walking weekends, street festivals, country fairs, and outdoor art festivals. There’s something for everybody on vacation in The Last Green Valley. The Dinosaur Place in Montville brings it all together for a thrilling and exciting day at a dinosaur park and a mine full of gems. While these are two separate parks with their own admission charge, at least you can choose the type of activities that suits your mood – or do both! Dinosaur Crossing is a 50-acre pristine woodland park with easy-to-walk trails that’ll surprise you at every turn of the path. 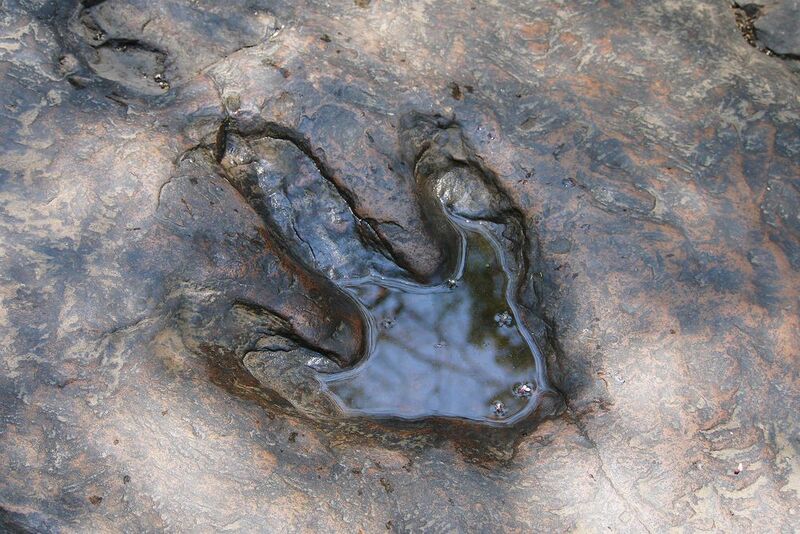 The trails are littered with over 25 incredible life-size replicas of Dinosaurs that lived some 230 million years ago. For the younger folks make sure you rest for a while at Monty’s Playground and let them “burn off energy” in the climbing and adventure playground. Nature’s Art turns your average kid and adult into a fortune hunter. But unlike the low success rate and “cut throat” frontier west, here the location is already marked and you’re guaranteed some kind of “find” to take home. Here you can dig for gems in Jackpot Mine, uncover Dinosaur bones in The Bone Zone, and pan for “gold” in Thunder Creek. In the Fossil Gallery you’ll discover amazing facts about our planet and see stunning exhibits of fossils from around the world. The Mashantucket Pequot Museum in Mashantucket is a stunning journey through the history of the first American peoples in this region. The Pequot tribe has a rich past that vividly comes to life through a series of innovative displays. You’ll discover how the Pequot tribe survived the harsh cold climate life some 11,000 years ago when the glaciers were receding, to the arrival of the European settlers and the devastation and loss of their lands. The museum tells the story of a tribe on the brink of extinction of their customs and way of life to hard fought Federal tribal nation recognition, and the overwhelming success of Foxwoods on their lands. The Mashantucket Pequot Museum and Research Center is the world’s largest Native American museum. Dedicated to discovery and understanding it’s a must-see stop on any East Connecticut vacations. Exhibits include “The Glacial Crevasse,” “The Arrival of the People,” “Life in a Cold Climate,” “The Changing Environment,” “The Pequot Village,” “The Arrival of the Europeans,” “Prelude to War,” “The Pequot War,” and “Life on the Reservation.” Each of the displays provides insights into the celebrations of their life and the struggles they endured. Always educational and thought provoking, the museum will touch you like no other. Please don’t miss it and plan on a full day at the center. If you combine the complexes at Mohegan Sun and Foxwoods together then you have the largest casino complex in the world. Separated by only a few miles but the feeling at each is very distinct. Mohegan Sun in Uncasville opened in 1996 as a themed gaming and entertainment complex. From the minute you walk in you know you’re in a different world from your typical Las Vegas gaming experience. The emphasis is on entertainment, and while you’ll find 300 table games and over 6,000 slot machines – the theatre, dining and shopping choices is front and center as well. The 55 feet high Taughannick Falls, 3-story Crystal Mountain, and the world’s largest planetarium dome. Mohegan Sun Arena has a 10,000 seating capacity and regularly headlines concerts and premier sporting events. Foxwoods in Mashantucket is the larger of the two gaming casinos. Comprising six casinos, more than 7,400 slot machines, 388 table games, the world’s largest bingo hall, and three hotels… everything about Foxwoods is big! Opened in 1992 by the Mashantucket Pequot tribe on their lands, Foxwoods was designed to be an addition to their existing bingo operation and to be open only for 8-12 hours a day. But the response the first day was so overwhelming that it stayed open 24 hours and hasn’t shut it doors since. Foxwoods arena is smaller than Mohegan Sun’s with a 3,000-seat entertainment complex, but still attracts major recording artists and championship boxing events. Mystic Seaport is billed as “The Museum of America and the Sea” and is one of the most popular attractions in New England. Along this stretch of New England a number of Whaling vessels were built and launched, and in the 19th century village you can view the “Charles Morgan” a wooden whaling ship built in 1841 at nearby New Bedford. And wander among over 46 exhibits and displays. Mystic Aquarium Institute for Exploration has both outdoor and indoor galleries. While sea creatures are still the star performers, this aquarium lives up to its promotion as an Underwater Adventure. You’ll also find a Return to Titanic Exhibit at the moment, including a large-scale model, and a voyage through Dr. Robert Ballard’s journey back to the wreck he first discovered in over 12,000 feet of water in 1985. Other highlights are the Beluga Whales in the outdoor Alaskan Coast Exhibit, and the Northen Fur Seals in the Pribil of Islands exhibit – these 1,500 lb beauties are found off this chain of Islands in the Bering Seas. 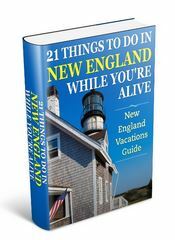 I’ve only just skimmed the surface of these destinations and both should be on your east Connecticut vacations schedule. When the sun is hot… and you’ve had enough of seeing museums and riding trains… then you head for the beach. But not just any beach. How about one with “sugar-sand” and a boardwalk? For the older kids there’s arcades, and of course plenty of food concessions, dining facilities, a café, and gift shop. But the beach is the main attraction, and it won’t disappoint. Half-mile of pristine “sugar-sand” beach is great for spreading out, building sand castles, or just sculpting out your own fantasy island. Complete your day at Ocean Beach park with a memorable stroll along the half-mile boardwalk, and take in the sights and sounds of the passing boats and ships as you amble alongside Long Island Sound. The “Quiet Corner” of Connecticut contains one of the classic scenic drives of New England, but also includes rides along the shoreline, and many others through lush countryside. And while traveling around and through the towns and villages stop every now and then, and check out the ample selection of antiques and bargain shops along the way. The Connecticut Wine Trail has five wineries in the East Connecticut region. These are Sharpe Hill Vineyard in Pomfret, Stonington Vineyards in Stonington, Jonathan Edwards Winery in North Stonington, Heritage Trail Vineyards in Lisbon, and Priam Vineyards in Colchester. To discover where to stay deals, and compare rates and amenities with a trusted and professional travel organization then check out our Connecticut lodging and accommodations.